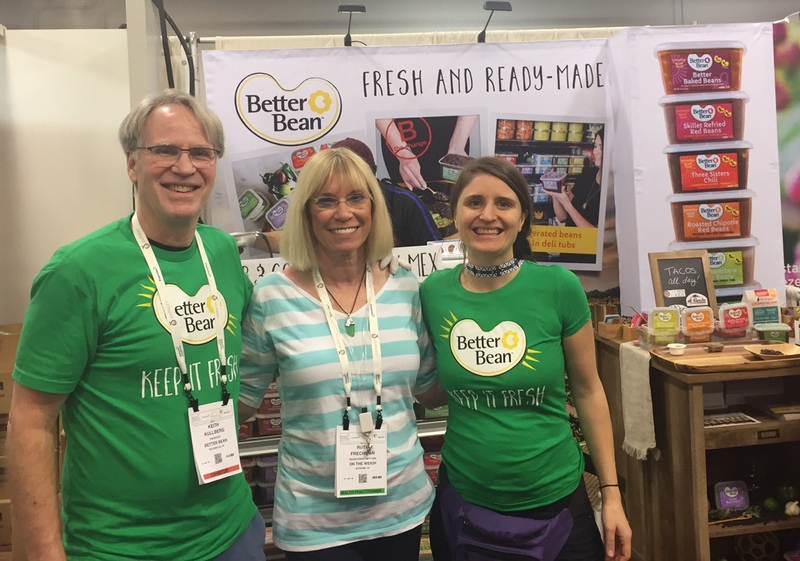 It was a pleasure to meet two Bean Advocates at Natural Products Expo West – Keith Kullberg, Founder and his co-founder and daughter Hannah Kullberg from Better Bean. From taste to versatility to a health standpoint, beans are one of my favorite foods. So I was pleased to find the Better Bean booth. Beans can be eaten for breakfast, lunch and dinner. They can be part of a appetizer or made into a dessert. The possibilities are endless. From dips to bean burgers to brownies (very good by the way), beans are one of your food friends. For people, who don’t have time to cook, bean and cheese tacos or quesadillas couldn’t be quicker or easier. They are also healthy. Just warm corn or flour tortillas and fill with beans and shredded cheese. To melt the cheese, pop them in the microwave. For more veggie power, top with salsa and guacamole. Delicious! Better Beans are sold nationwide in a tub in the refrigerated section. They have baked beans, skillet refried red and black beans, three sisters chili, roasted chipotIe red beans, southwestern pinto beans, Tuscan white beans, and Cuban black beans. I am looking forward to trying them. Previous Article Lose Weight with Ruth: Hate Vegetables? You’ll Love These!